Many companies have invested in a global workforce, drawing new strength and innovation from diverse international employees. However, for those who do not speak English as a first language, it can be difficult to meet the strict writing requirements of the modern English workplace. Non-native business writing courses -- tailored specifically for global professionals -- can help companies get the polished writing they need and help employees gain the confidence and skills to meet their individual business goals. The Bureau of Labor Statistics notes that in 2012 foreign-born workers made up over 16% of the US workforce with that number steadily increasing since 1996. The largest non-native group was Hispanic men, making up close to 48% of foreign-born workers. While the weekly earnings of non-native employees were statistically less than their native-born counterparts, the survey also showed that educational attainment directly increased earning power. A recent study by Wharton management professor Laura Huang found "a widespread bias in the business community against non-native English speakers: Entrepreneurs with non-native accents, she notes, are significantly less likely to receive new-venture funding, and job candidates with non-native accents are also less likely to be recommended for management positions. Foreign-born workers need to invest in strong communication skills in both speaking and writing to overcome these prejudices in the modern workplace. What Problems do Non-Native Writers Face? While native writers develop an ear for their own language, for non-native writers it can be difficult to adapt to the unique structures and complexities of formal English. The most common struggle is in understanding the subtleties of English grammar. Many native speakers instinctively understand grammatical rules but are unable to communicate the reasons behind them to employees. Practice and study -- using real business documents as examples -- are necessarily to learn both basic and complex grammatical structures. One-on-one instruction can be especially helpful in identifying individual weaknesses. Other cultures often have different standards and techniques for handling logic and evidence in business writing, so explaining and understanding the expected standards of American business writing is essential. Do I Really Need to Improve My Writing to Succeed? For many, the talents of an employee are a stronger selling point than their writing skills. On the surface, who cares if an engineer can write a cohesive memo as long as they can design a functional product? However, businesses have quickly realized that communication skills, in any field, are essential to the success of both the employee and the company. Companies both in the US and around the world are increasingly conducting business in English. As the Harvard Business Review reported, the use of English can be a controversial decision, noting that employees "may feel at a disadvantage if their English isn’t as good as others’, team dynamics and performance can suffer, and national pride can get in the way. 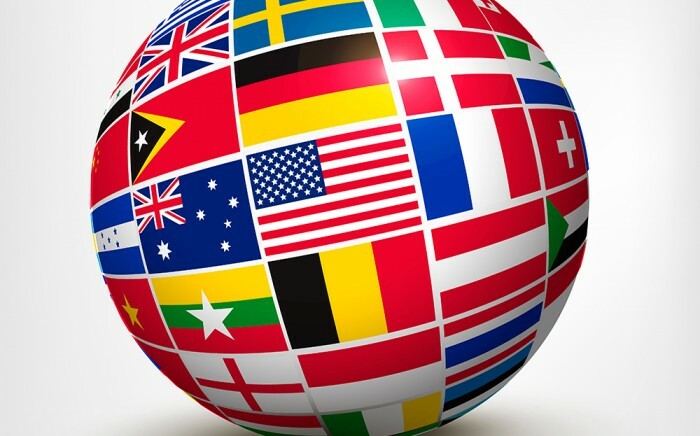 But to survive and thrive in a global economy, companies must overcome language barriers—and English will almost always be the common ground, at least for now." However through directed education and practice, all employees can learn to utilize English as another skill to add their already diverse talents to help themselves and their company succeed. How Can Personal Instruction Provide Targeted Improvement? Treating all non-native writers the same is neither helpful nor productive. Different cultures and languages face varied and unique challenges and a one-size-fits-all education can leave costly gaps in knowledge. Learning in the workplace can be a high-stakes endeavor with mistakes in a memo or proposal causing headaches for both employee and employer (and in the worst case scenario can lead to legal or financial problems for the company). Non-native writers can feel extreme pressure to perform when only writing for the business environment. Writing for an instructor, however, provides safety and support that focuses on improvement rather than simply results. Instructors can provide a detailed plan to follow in a structured writing course and can improve writing with targeted feedback tailored to the writer's specific needs. Please contact us for help finding a general business writing course or non-native business writing course for yourself or your non-native employees. We're here to help.